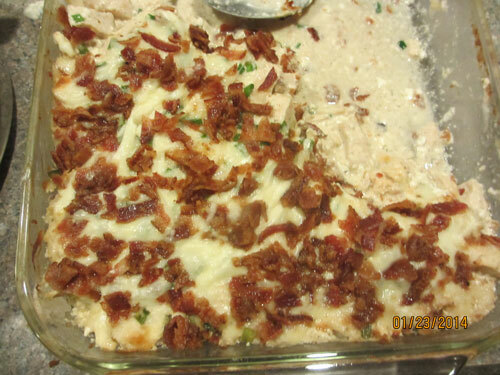 Bacon-Wrapped Chicken Casserole: Cooking With Kids | Homeschool Supermom…NOT! 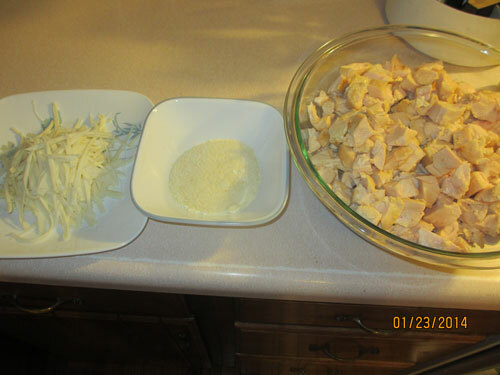 In a large bowl, combine chicken, cream cheese, alfredo sauce, garlic, and salt. 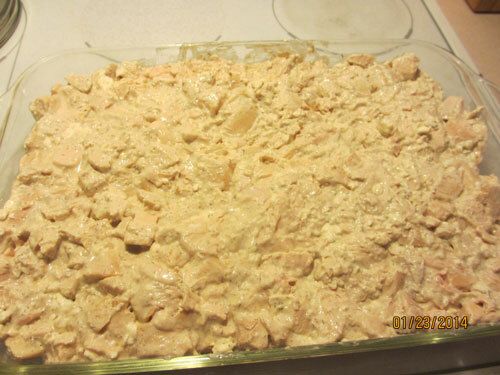 Spread in a large casserole dish (we used a 10 X 15″). 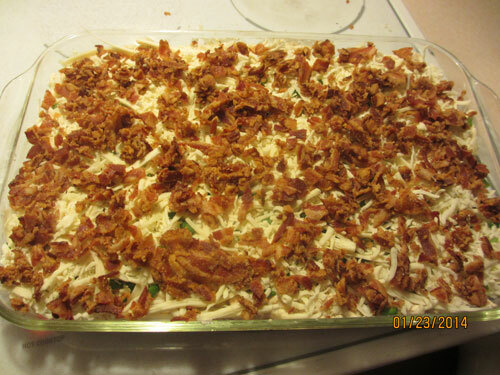 Top with parmesan cheese, snipped scallions, shredded mozzarella, and crumbled bacon. Bake at 350 degrees for 30 minutes, or until it’s heated through and the cheese is melted. We served it over rice…. And it became an instant success. 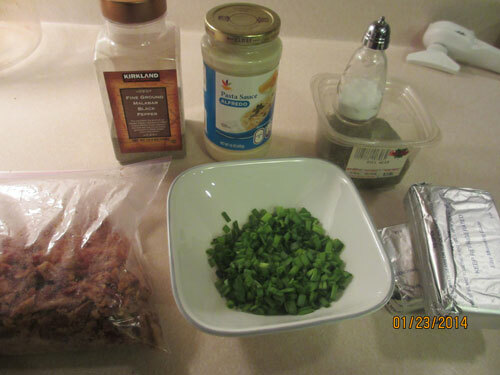 Everyone agreed they actually liked this version better than the actual bacon-wrapped chicken recipe because the flavors are mingled so delicious…and the resulting sauce is fabulous over rice or noodles.. So there you have it. A quick, easy, and elegant meal for the family. This entry was posted in Gluten Free, Preparing Kids for the Future, Recipes, Uncategorized and tagged chores, gluten free, recipe by Susie Kemmerer. Bookmark the permalink.